Today is THE day. You’ve had this day marked in your mental calendar for about a week now. There was no need to tell SIRI to remind you where you needed to be or at what time; you didn’t need to scribble a note in your planner to jog your memory. Today, you have a job interview. Congratulations! Finally, after submitting your entry level resume to seemingly hundreds of open positions and completing endless applications, some lucky company has expressed an interest in paying you to work for them. As you patiently sit in the waiting area, you’re still in a state of thrilled disbelief. They have reviewed your cover letter and resume and have determined that out of hundreds of candidates, YOU possess the valuable talents, experience, and skills that they are looking for. In approximately 1 hour you will either have landed your first salaried job with benefits or resulted to returning to your computer to submit more entry level resumes to even more seemingly hundreds of open positions and complete more endless applications. Here are 10 tips on how to successfully prepare for those 60 minutes that will either launch your career, or send you back to the drawing board of job posts and employment listings. 1) Do Your Research. 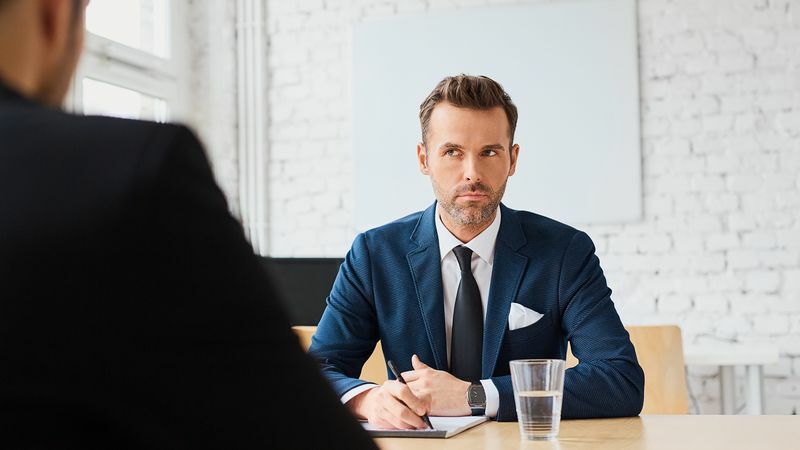 Too often, employers are astounded by how many candidates they interview who know absolutely nothing about the company they claim they want to work for. Visit the company or organization website to learn about the company’s history, mission, purpose, values, and their goals. If at all possible, research the person who you will be interviewing with as well. 2) GPS the Location before the day of the Interview. Before the day of the interview, even if it is the night before, you should have accurate directions written down or saved somewhere for your reference. 3) Be on Time. To be early is to be on time, to be on time is to be late, to be late is to be forgotten. To avoid being tardy, delayed, or deferred for any reason, be sure to depart 30 minutes prior to the estimated travel time to account for traffic, construction, weather or possible detours. Being late is a red flag for employers, and they sometimes will cancel the interview altogether if a candidate is not prompt. 4) Prepare Your Clothes The Night Before. Glamour magazine reports that the average person spends between 14 and 16 minutes deciding what to wear. Lay your attire out the night before the interview to save time on getting dressed. 5) Print Copies of Your Resume. It is proper protocol to bring copies of your resume to your job interview. You may be meeting with several recruiters or representatives and it will be advantageous to have additional replicas of your documented professional experience handy. 6) Look up Common Interview Questions. Research common interview questions and prepare your responses for them. This way, once you are presented with the question(s), your answer is already formulated and can flow much smoother. 8) Leave Your Phone in The Car. There is nothing more important than getting a job. Even if your phone is on vibrate it can be a distraction during an interview. The constant buzzing can be viewed as annoying and unprofessional. There is no Facebook newsfeed update, text message, Snap Chat notification, or Twitter announcement that takes precedence over your career. To be safe, tune out for an hour and leave your phone in the glove compartment. 9) Go to Bed Early. Get some extra z’s the night before your interview. Wrap up your evening an hour before you normally do to ensure you are well rested for your big day. 10) Send a Thank You note no more than 24 hours after an interview. 75% of interviewers said that receiving a thank you letter or email from a candidate affects their decision making process. When you get home, draft an appropriate thank you note expressing your appreciation for their time and that you look forward to hearing from them soon regarding their decision.